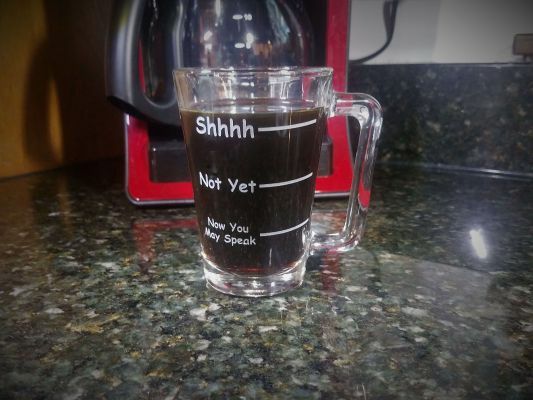 Funny Engraved Coffee Mug with 'Shhhh, Not Yet, Now You May Speak' deeply sandblasted out of the custom coffee mug. 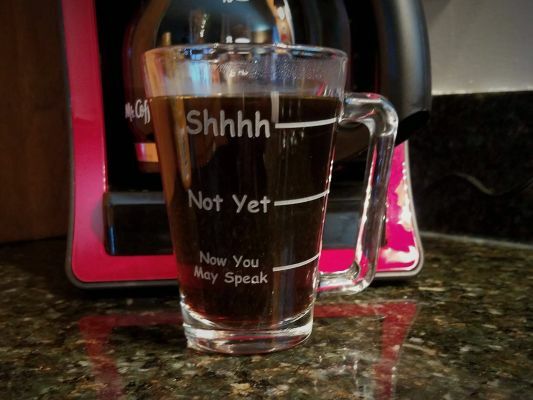 This mug makes a great gift for a coffee lover and is 4.5 inches tall and holds 9 ounces. 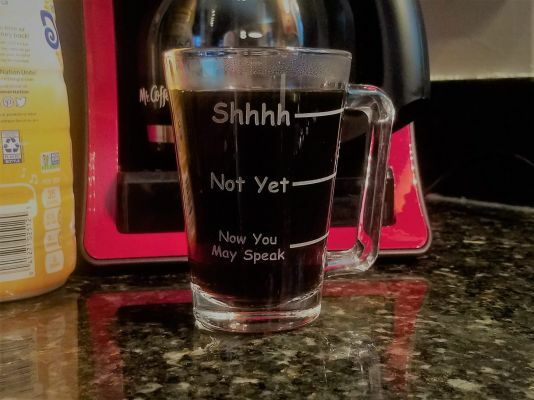 If you'd like something completely different this mug can also be seen on our All Purpose Coffee Mug page. 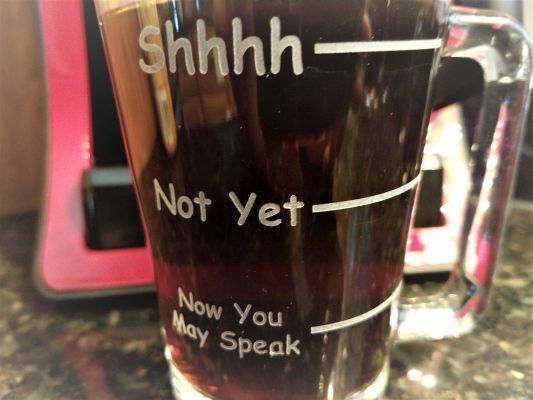 We can also use this artwork on any other glass, just let us know what you'd like.